Here's a Quick restoration!! Now I'm getting used to my new "system" This one took 34 seconds to restore!! And another 2 mins to make the stereo and the TMNR version and another Min to render all the Flacs Mp3! 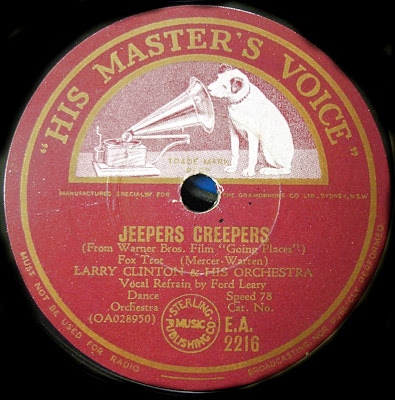 Larry Clinton - Jeepers Creepers MP3 "Good"
Larry Clinton - Jeepers Creepers MP3 "Too Much Noise Reduction"
Larry Clinton - Jeepers Creepers MP3"Fake Stereo"